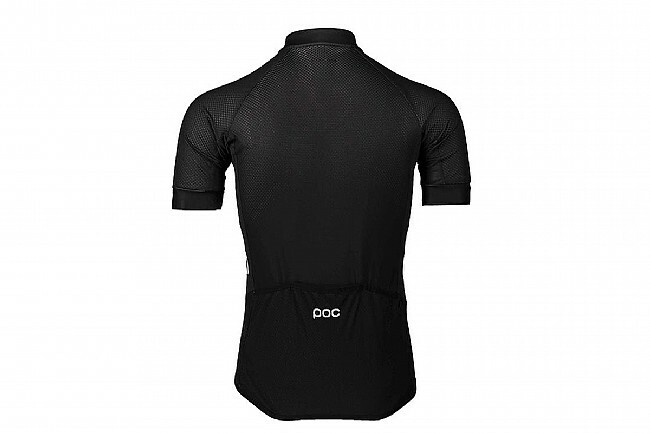 Part of POC's Essential collection for road cycling, the Essential Road Light Jersey is the ideal garment for hotter rides. 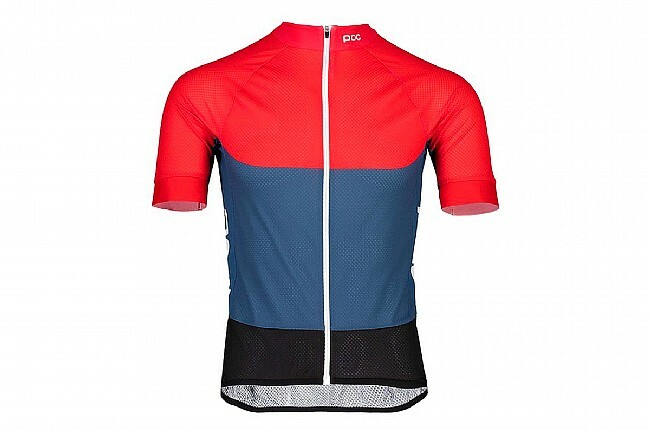 Constructed from lightweight and highly breathable material, the jersey supports ventilation. 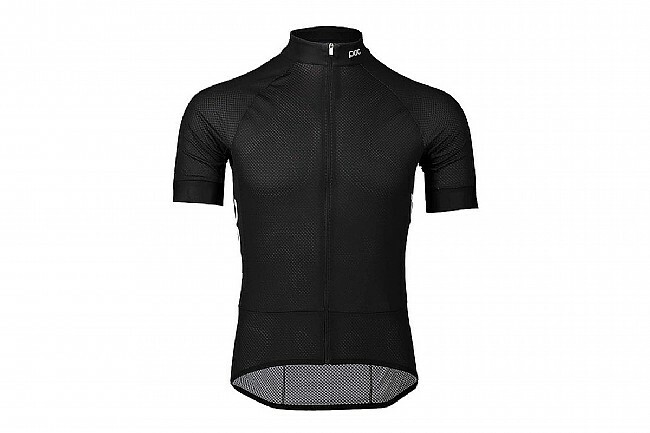 Highly effective at wicking sweat away from the body, the quick drying jersey works to support temperature regulation and includes mesh zones under the arms and a full length front zipper for flexibility and comfort. Three rear cargo pockets provide ample storage for all your ride essentials, whether its food, tools or extra gear. A separate zipped pocket ensures secure storage for valuables like a wallet or cell phone. An elastic hem ensures the jersey sits comfortably and correctly for the duration of your ride despite how heated things get along the way.